The finest magnetic particles, usually less than 10 µm, can be separated from liquids and emulsions using the STEINERT matrix separator with "switchable" permanent magnets. Separation rates of well over 80% are common. A typical field of application is the treatment of process water from degreasing baths in the steel industry. Many steel companies have at least one such STEINERT HGF in operation. The fluid circuit is thus closed to almost 100%. 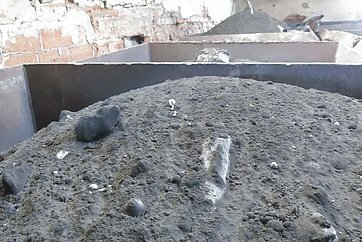 Reliable and efficient separation of ferrous particles in the treatment of process fluids is a difficult challenge for the steel industry. Rather than regeneration, the complete cooling water circuit is usually replaced at regular intervals due to the lack of appropriate technology. 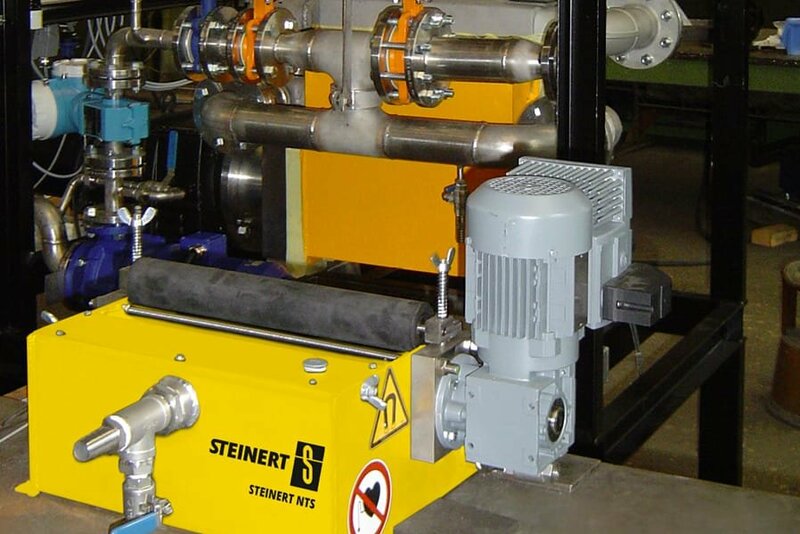 Our STEINERT HGF high gradient magnetic filter is targeted at precisely this task – both as a stand-alone procedure and to protect membrane systems. Fine ferrous particles down to 1 µm are separated out in a fine-mesh filter matrix in the STEINERT HGF and with a separation success of over 80%. A wire matrix in the closed system is magnetised by switchable permanent magnets. Very high magnetic field gradients are generated on these wires causing the fine iron parts to reliably accumulate there. After a few minutes of separation in the batch feed, the matrix is cleaned within a few seconds by a vigorous rinsing impulse. The resulting ferrous pre-concentration is generally fed to a downstream STEINERT NTS wet drum magnetic separator. 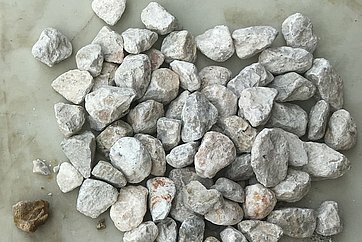 The iron content in the generated sludge is further concentrated using the STEINERT NTS. 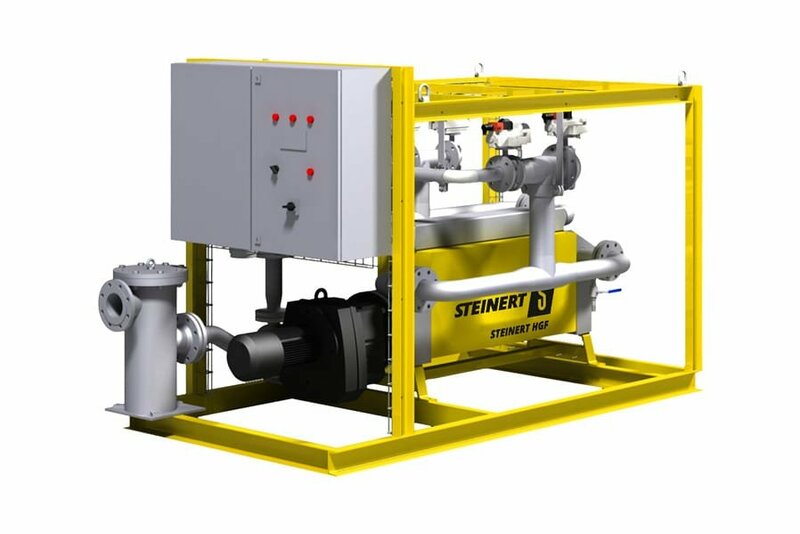 We supply the STEINERT HGF as a complete sorting system including piping and controller.